Parents are always proud of the artwork their kids create...even if it does look like a rainbow got sick on a piece of construction paper. You just never know if your little ones might be pint-sized prodigies. After all, Mozart started tickling the ivories when he was just four years old, Pablo Picasso was painting at age eight, and Tiger Woods was swinging a golf club as soon as he could walk! 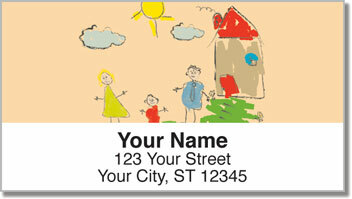 Mini Masterpiece Address Labels feature adorable illustrations created by young artists in the making. 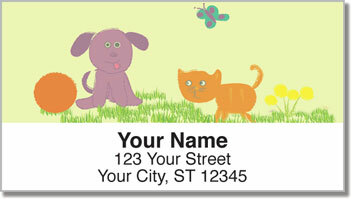 Besides being cute, they'll also save you a ton of time when preparing outgoing mail. Just peel and stick instead of filling out envelopes by hand! 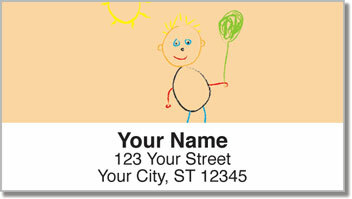 Get your own Mini Masterpiece Address Labels today! 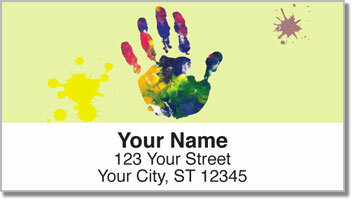 Complete your order with matching checks!